Reading about a recent cricket match in Afghanistan between the Afghan national team and the Tajik national team, certainly fell into my *Who knew? * category. Cricket was first played in Afghanistan in the 19th century during the Anglo-Afghan Wars. British troops reported playing in 1839. However, it would seem no lasting cricket legacy remained. In the 1990s, cricket became popular among Afghan refugees in Pakistan and the Afghanistan Cricket Federation was formed there in 1995. Like all sports, cricket was originally banned by the Taliban. However, it was categorised as an exception in 2000 and the Afghanistan Cricket Federation was elected as an affiliate member of the International Cricket Council in 2001. On their return to Afghanistan in late 2001, many cricket-playing refugees brought their bats, balls and wickets back home. Against the odds, the Afghan national team have climbed the rankings and, with a decisive win over Kenya, qualified to compete in the 2015 World Cricket Cup to be hosted by Australia and New Zealand. Kabir Khan, the former Pakistan fast bowler, coaches the Afghan national team. There is also a national women's cricket team of Afghanistan. Like women's cricket worldwide, it does not attract the attention nor sponsorship it deserves. Nevertheless, this does not dampen the young women's motivation and enthusiasm. 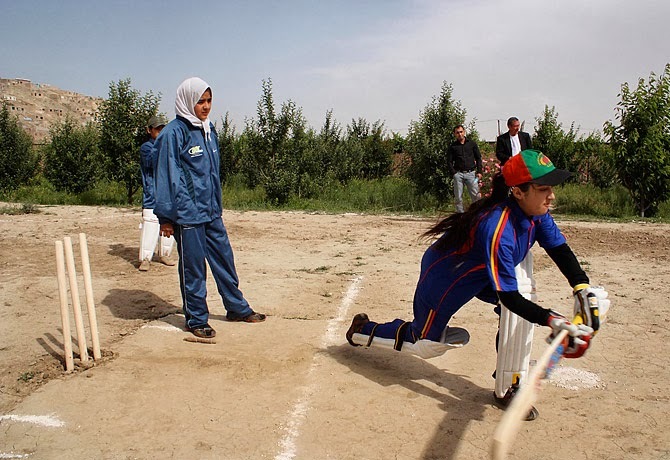 Over in neighbouring Tajikistan they have been inspired by Afghanistan's cricketing success. 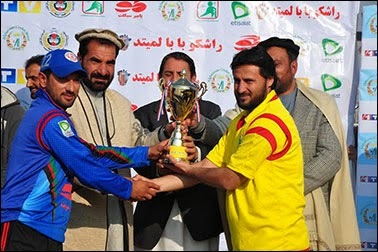 The Tajikistan Cricket Council was formed in 2011 and joined the Asian Cricket Council in 2012. There is a lovely story by the head of Tajik cricket, Saraev Abdurasul. He thanks his shepherd father for his passion for cricket. "My father was a sportsman and in the 1960s he used to play [cricket] on the pastures with other shepherds while he tended rams," says Abdurasul, whose curiosity for the game prompted him to find out its name and that it originated in England. But cricket was generally suppressed during the Soviet era. "After the October Revolution, when the Bolsheviks came to power, they closed cricket clubs considering it a bourgeois, shameful game for the working classes," says Tajik sports journalist Shuhrat Davlatshoev. "Cricket matches were stopped in the USSR. In Tajikistan at that time, officially, there was not a single cricket team". Afghanistan has provided technical assistance in the form of training and cricket supplies to Tajikistan. The former Afghanistan opener, Ahmed Shah, worked in Tajikistan for over a year along with other Afghan cricketers. 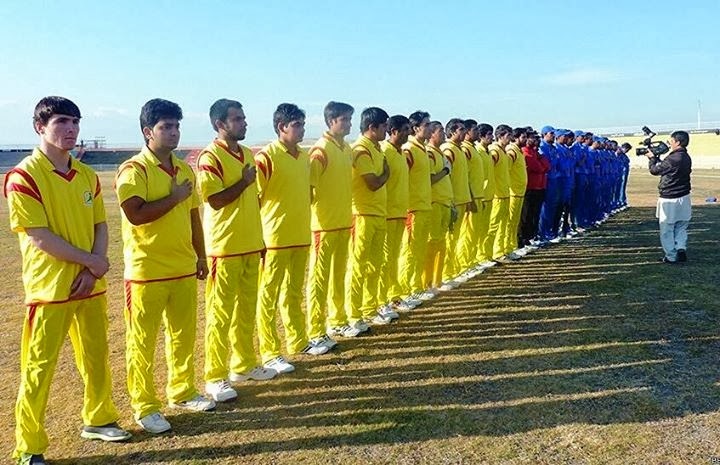 Late last year, Afghanistan extended technical cooperation by inviting the Tajik men's national team to compete in two one-day matches and one twenty-20 match against the Afghanistan A team. There are two Tajik women’s teams and Afghanistan’s national side played three matches against them in Dushanbe, the Tajik capital, in 2012. Both countries have suffered under recent wars. I find it extraordinary that cricket is making headway in this region to build national pride and inspire a young generation of sportspeople. If cricket is your game, you can learn more at the Tajik cricket Facebook site and the Cricket Afghanistan site.